D'Grove Villas is a low density development in the prestigious Orchard vicinity, it is a short walk to the Orchard Towers, Orchard Delfi and Forum Shopping Mall. It has a swimming pool, children's pool and a playground. Units in D'Grove Villas are spacious and bright. All the rooms come with attached bathroom and long bath. 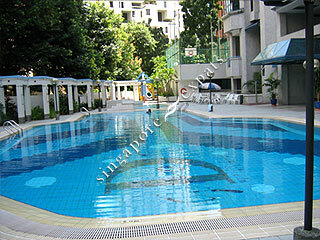 Suitable for families looking to stay in the heart of Orchard Road at affordable rental prices.